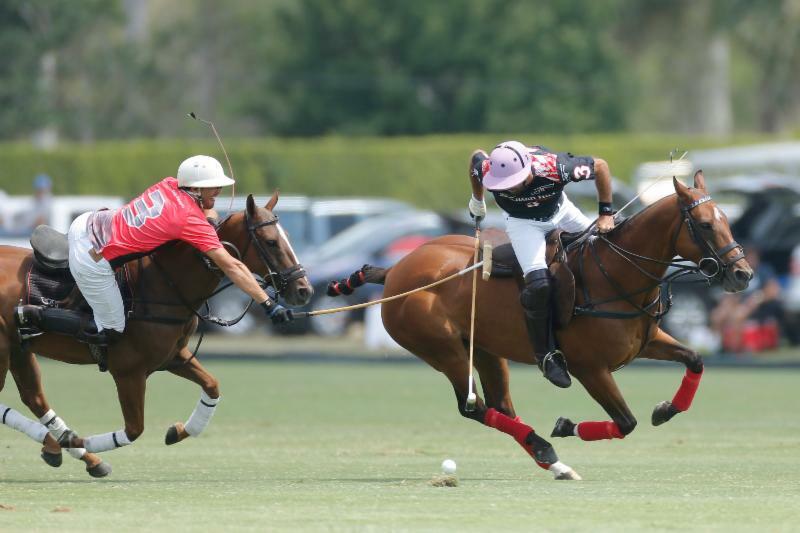 Earlier in the day defending champion Orchard Hill defeated Audi 11-10 in a game of starkly contrasting styles. Orchard Hill used a strategy of Facundo Pieres and Polito Pieres falling in behind one another, maintaining control of the ball with taps and then eventually having one of those players release downfield. 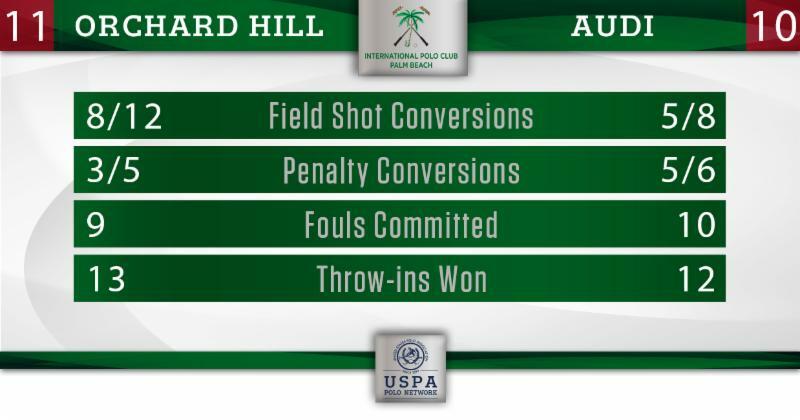 It was effective early as Orchard Hill held Audi to one shot through two chukkers and took advantage of 5 Audi fouls to get off to an early 4-1 lead. The lead could have been more, as Facundo uncharacteristically missed two penalty 4 attempts. He made up for it, though, by scoring all of Orchard Hill’s goals in the first half to bring his total goals to 6 before halftime. Audi, on the other hand, was playing more of a pass forward style, using their balanced line-up to generate offense. After a slow start patron Marc Ganzi finished off his first two runs at goal, a good sign for Audi if Ganzi could continue to convert in the #1 position. 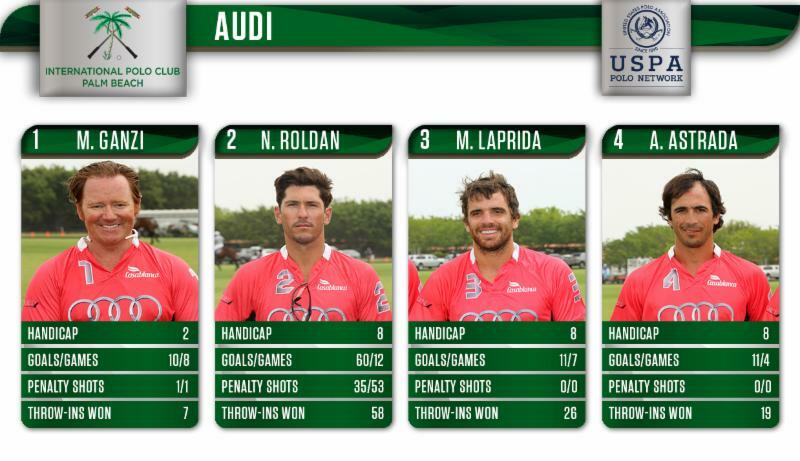 Alejandro Novillo Astrada added a goal in the third chukker, but Audi was having a difficult time containing Facundo and Polito Pieres as they went into halftime trailing 6-3. Audi began to chip away at Orchard Hill’s lead, thanks to the penalty shooting of Nic Roldan. After missing his first attempt, Roldan went a perfect 5-for-5 on his penalty attempts in the second half. That got Audi back in the game as they controlled possession and limited Orchard Hill to four shots in the second half. Orchard Hill couldn’t miss as they converted all 4 shot attempts from the field, with Polito Pieres scoring 3 goals and Facundo adding 1, while also converting one penalty attempt. A late penalty 1, followed by a goal at the final horn for Audi wasn’t enough. 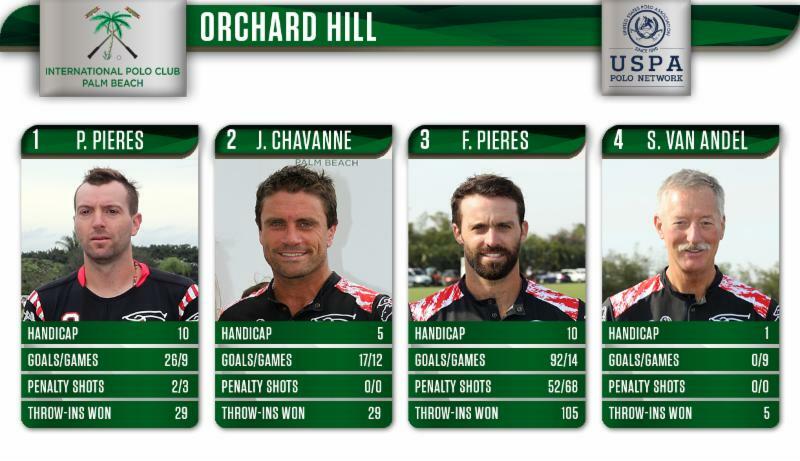 Orchard Hill held on for the 11-10 victory and secured a spot in the semi-final behind the 8-goal performance from Facundo Pieres and 3 goals added by Polito Pieres. The semi-finals take place Wednesday at IPC: Orchard Hill vs. Flexjet at 11 a.m. and Valiente vs. Travieso at 5 p.m.
All games in the 2017 US Open are being live streamed on the USPA Polo Network: uspolo.org.